When we think of harmful pests, we tend to consider creatures that conflict bodily harm like bees, spiders, and other creepy-crawlies. Have you ever heard a story about a mouse attacking a human? Probably not because these pint-sized rodents scurry at the slightest sound or sight of you. It’s what they do that make mice harmful. Anyone who has had a rodent as a pet—bunnies, gerbils, guinea pigs, even mice—know that one of their favorite snacks is any unattended cord. Mice that inhabit your home uninvited feel the same way. There are 16 million home and building fires in the US each year, and about 8% of them are caused by mice gnawing on electrical wiring. 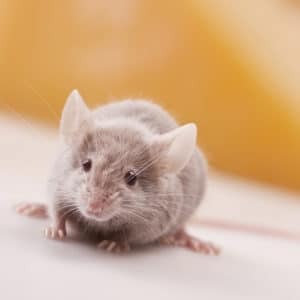 Rodents, including mice, have been known to spread 35+ diseases to humans, including the most dangerous Hantavirus, Lymphocytic choriomeningitis, and tularemia. These diseases are mostly spread through droppings and urine, and mice lay up to an alarming 100 droppings each day. This mostly goes unnoticed because mice are often in the walls or an attic. As these droppings dry out and break down, partials become airborne and are known to be a leading cause of respiratory problems in children and the elderly. Clean up the clutter. Mice love to curl up and make homes in piles of stuff you have lying around like old clothing, stuffed animals, and trash. Trim your trees and bushes. Keep branches away from windows, pipes, and any other openings mice could use to gain entry. Seal your food. Garbage cans should have lids and food should be stored in air-tight containers. Check and seal any points of entry. Mice can enter your home through a space the size of a pen! Inspect for holes around windows and doors. Are Mice Harmful? Yes. Call the Experts. 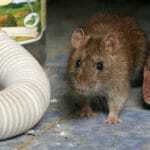 No matter your preventative efforts, mice can still find a way to call your home their own. Contact the professional exterminators at Green Pest Solutions at 877-636-9469. We’ll perform a free estimate and get to work to help keep your home safe and mouse-free.